The National Working Committee (NWC) of the Peoples Democratic Party (PDP) has declared a seven-day mourning for the victims of the gruesome killings of innocent Nigerians by bandits in Plateau state and other parts of the country. The party directs that its flags at all its offices and formation at all levels across the country be flown at half-mast during the period in honour of the victims. 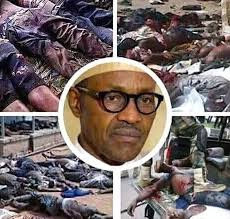 In a statement signed by its National Publicity Secretary, Kola Ologbodiyan, PDP urges the people of Plateau state to exercise their rights as global citizens, work with other public-spirited Nigerians and groups and take President Muhammadu Buhari and his government to the International Criminal Court (ICC) at the Hague for acting helpless in the face of continuous mass killings in our country. The PDP expressed the belief that the life of every Nigerian is sacred, saying: “All Nigerians must be protected whether they are Birom, Basange, Igbira, Tiv, Idoma, Hausa, Igbo, Fulani, Gbagyi, Yoruba or from any other tribe whatsoever. The fundamental duty of government all over the world is the protection of lives and Nigerians can no longer continue to fold their hands while compatriots are being daily hacked down by marauders'. 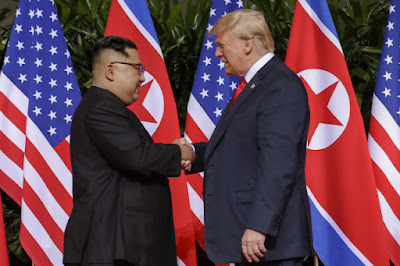 History was made as the North Korean leader Kim Jong Un and President Donald Trump meet-face-to-face at the summit in Singapore. It's the first ever meeting between a sitting U.S. president and North Korean leader. Donald Trump said he expected to have a "terrific relationship" with Kim Jong-un after the two leaders shook hands ahead of a historic summit in Singapore on Tuesday. In the first ever meeting between sitting leaders from both countries, the pair greeted each other warmly at a luxury hotel on Sentosa Island, before heading in for one-to-one talks about denuclearisation. The US president and North Korean leader approached each other while walking along outdoor corridors lined with white colonnades, with Mr Trump coming from the right and Mr Kim from the left. Mr Trump, who is 6 foot 3 inches, towered over Kim, who is around 5 foot 7 inches and close to 40 years younger than the US president. Mr Trump then directed Mr Kim to walk down a hallway, where they briefly spoke. "Nice to meet you Mister President," Mr Kim said as he sat alongside Mr Trump, beaming broadly as the US president gave him a thumbs up. With cameras of the world's press trained on them, the two leaders built an initial atmosphere of friendship. "I feel really great. We’re going to have a great discussion and will be tremendously successful. It's my honour and we will have a terrific relationship, I have no doubt," Mr Trump said. "It was not easy to get here....There were obstacles but we overcame them to be here," Mr Kim replied. After about 40 minutes of talks, the leaders emerged, with Mr Trump predicting they will solve the "big problem" on the Korean peninsula. Mr Trump and Mr Kim smiled and waved to the cameras before heading to wider bilateral talks with aides. Asked how the meeting had gone, Mr Trump said: "Very good. Very, very good. Excellent relationship." It seems reptiles have taken over a place called Kogi state in Nigeria as another snake has been killed by students of the state university. Days after a snake was killed by some students of the same institution in a lodge while it was trying to eat up a chicken in a kitchen, another huge reptile has been caught and killed. 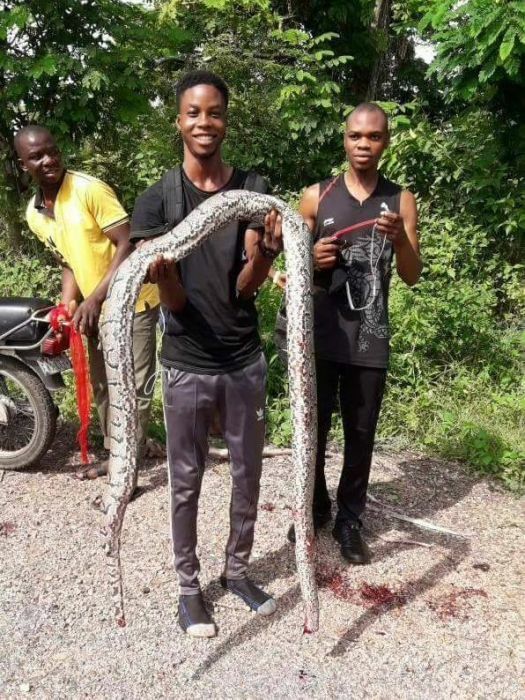 According to reports, the huge python was killed in Lokoja, the state capital, by students of the state university. Body odour is the unpleasant smell produced by bacteria on the skin that break down the acids in your sweat. Most patients with body odour have a problem with bacterial overgrowth on their skin. These bacteria produce odor by breaking down the skin's sebum (oil). People who don't bathe regularly are particularly at risk because folds of skin in the groin and armpits are the moist, warm, favored places for bacterial growth. Some people we say, how can baking soda prevent body odour? The truth is, to get instantly rid of body odor, baking soda can come in handy. It can absorb all the moisture from the skin and take away the smell as well. Baking soda can kill the odor-causing bacteria and prevent excessive sweating and odor. Since it is alkaline in nature, it will lower down the pH level of sweating parts to counteract the acids in sweat. Simply take a little of baking soda into your hands while taking shower and apply it onto underarms and scrub it for few minutes and then wash it off normally to clear the baking soda and the body odor. Some food we consume may be adding to the excessive sweating. Fiber-loaded food helps you detoxify the body by maintaining proper digestion. Consuming salad which comprises of raw vegetables like carrots, cucumbers, spinach, peppers, can naturally cleanse your insides. Adding citrus fruits to your meals can also detoxify your body by flushing out the toxins that may be causing body odor. After a long day at work or after working out for an hour or two, our feet get sweaty, leaving them smelling deadly and stinky feet are no fun. Sometimes we tend to neglect our feet in our skincare regime. Washing your feet thoroughly after removing your shoes is necessary. Warm water is better at killing bacteria than cold water. Make sure you dry your feet thoroughly afterward, including in between your toes. Using a good antibacterial soap can help you get rid of any body odor and make you feel fresh. The best way is to use a loofah with it to scrub away all the bacteria and dead skin cells which will make you squeaky clean and will keep bad body odour at bay. 1) Avoid spicy foods: Curry, garlic, and other spicy foods have the potential to make some people's sweat more pungent. Some experts believe a diet high in red meat may also raise the risk of developing more rapid body odor. 2) Clothing: Natural fibers allow your skin to breathe, resulting in better evaporation of sweat. Natural-made fibers include wool, silk or cotton. If sweat from working out is your No. 1 cause of body odor, wash your workout clothes often. Sweaty gym clothes are a bacteria-breeding ground. 3) Surgery: When self-care and medicinal measures are not effective at treating severe body odor, a doctor can perform a surgical procedure called endoscopic thoracic sympathectomy (ETS) that destroys the sweating-controlling nerves below the skin of the armpits. 4) Aluminum chloride: This substance is usually the main active ingredient in antiperspirants. If your body does not respond to the home remedies mentioned above, talk to a pharmacist or your doctor about a suitable product containing aluminum chloride. Follow the instructions given to you carefully. 5) Apply apple cider vinegar: Acid, like the kind found in apple cider vinegar or lemon juice, inhibits the growth of bacteria—including the kind that makes your sweat smell gross. Just be cautious, and use it sparingly: "While apple cider vinegar and lemon juice may help reduce levels of odour-causing bacteria on the skin, they may cause skin irritation," says Zeichner. The mother-of-one has got her post baby body back and she wants the world to see. Kylie Jenner who welcomed a child in February shared photos of herself scantily clad while striking suggestive poses. 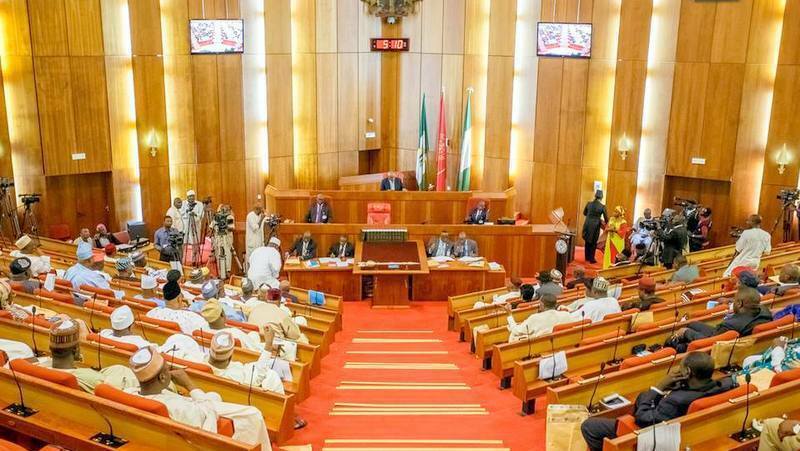 The Nigerian Senate on Thursday resolved to take President Muhammadu Buhari’s declaration a step further by asking that the official result of the June 12,1993 presidential election be announced. 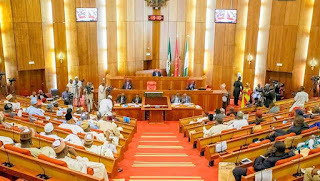 On Thursday, the Senate while largely supporting the president’s announcement, however, insisted May 29 will continue to be the hand-over date for presidents of Nigeria. The lawmakers after a lengthy deliberation on the president’s announcement agreed that an alteration of the handover date will require a constitutional amendment. Since 1999 when the country returned to civil rule, Nigeria has celebrated May 29 as Democracy Day. The date, after every four years, also doubles as the day for the inauguration of newly elected presidents and many state governors. First to raise the issue on Thursday was Lanre Tejuosho (Ogun-APC) who commended Mr Buhari for the announcements while urging him to also reconcile with the Legislature. Having come under order 43 of the Senate standing order, the matter was not open for discussion. “For once, I want to thank the President of Nigeria. I want to say he has done well. This is one time that the President has given a thought to what (Moshood) Abiola and his family went through to fight for this democracy that we enjoy today. Deputy Senate President, Ike Ekweremadu, said the gesture comes with legal issues which the president must address. “They are now saying June 12 is now Democracy Day, proposing that in 2019, the president will now be sworn in on the 12th of June. This is illegally impossible. “A president shall vacate his office at the expiration of a period of four years he took the oath of office. “The implication is that 29th of May remains the date the president will be inaugurated and take oath of office. If they are moving from May 29 to June 12, it means we have to amend this constitution. A 25 year Chicago rapper, Durk Banks, better known by his stage name Lil Durk, who once shared that he would like to have 10 children, is currently expecting his 7th one with his sixth baby mama, India Royale. 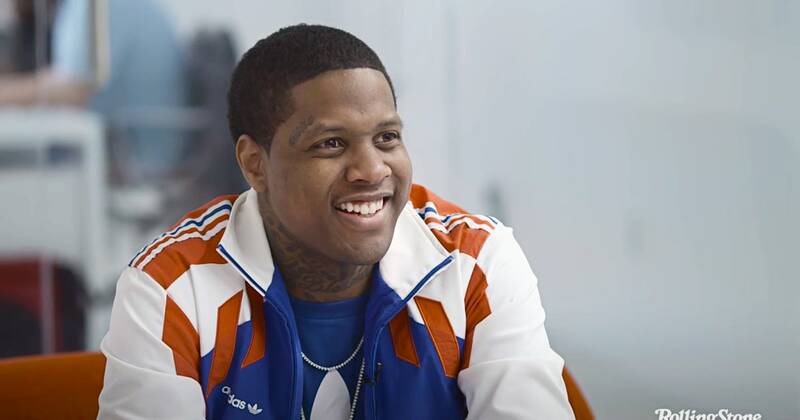 Lil Durk and India Royale who have been dating for a while are expecting their first child together, which will be the 7th for Lil Durk who already has six children with five other baby mamas. Over the years, rapper has always claimed three of the children despite three other women claiming to have birthed his other children. India Royale, who’s allegedly carrying a baby girl for the Chicago rapper has already named her Bella and recently threw a gender reveal party. Naby Keita feels the 2018 World Cup will be a tough outing for African representatives but singled out Nigeria ‘to lead by example’. Egypt, Tunisia, Morocco, Senegal and the Super Eagles shoulder the continent’s dream to win the elusive diadem. And the midfielder who is on Liverpool radar believes African teams have learnt from past flaws – and this time around will make the four. “It will be a tough tournament for African teams but the good thing is that they have learnt from past mistakes,” Keita told Goal. 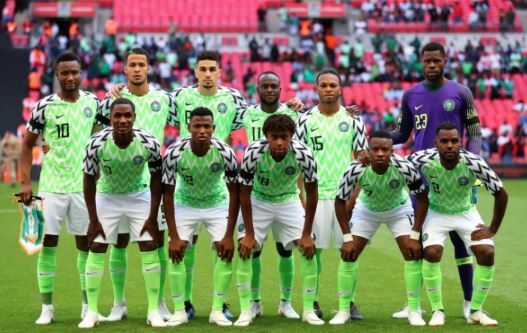 “I know Nigeria will lead by example and we will definitely have at least two teams in the semis of the competition. Guinea failed in their attempt to qualify for their maiden World Cup appearance having finished behind Tunisia, DR Congo and Libya in Group A of Caf’s Third Round qualification. Only Cameroon, Senegal and Ghana have made significant impacts on the world stage – reaching the quarter-final in the 1990, 2002 and 2010 editions. 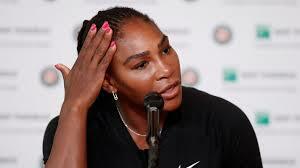 Serena Williams announced her shock withdrawal from the French Open on Monday , before her fourth-round match with Maria Sharapova. She explained in a news conference at Roland Garros in Paris that her pectoral muscle injury caused her to withdraw. The 36-year-old tennis star said, “Unfortunately I’m having some issues with my pectoral muscle. Right now I can’t actually serve so it’s kind of hard to play. “It’s very difficult, I love playing Maria. I’ve made every sacrifice I could. I made a commitment to myself and my team that if I wasn’t at least 60% I wouldn’t play. I’ve never felt this in my life. It’s so painful. Sharapova, the champion in Paris in 2012 and 2014, goes on to play a first quarter-final at the Slams since losing to Williams at the same stage at the 2016 Australian Open. It was in Melbourne that Sharapova tested positive for meldonium after which she served a 15-month doping ban. She will face either 2016 champion Garbine Muguruza or Lesia Tsurenko of Ukraine for a semi-final place. 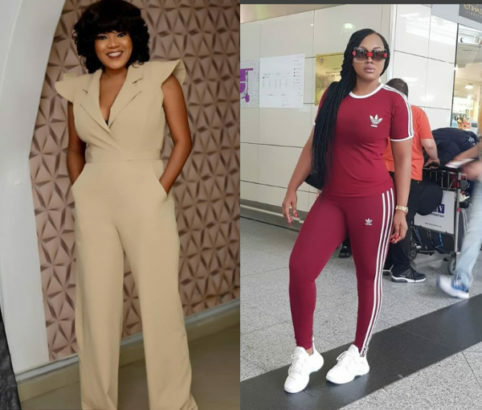 Nollywood actress, Toyin Abraham has addressed the issue of her outburst and heavy Instagram fight with her colleague, Mercy Aigbe. The actress stated that it was all a publicity stunt. She noted that said people likes bad news since they released their movie "The Ghost And The Tout", it did not turn viral, but within minutes after calling out Mercy Aigbe, it got viral and many people got it sent messages. THE GHOST AND THE TOUT IS SELLING OUT BUT DIDN’T GO VIRAL…I NOW DECIDED TO INSULT MY SIS @realmercyaigbe BUT WENT VIRAL..
NB:THE Dms I HAVE IS UNCOUNTABLE..
NIGERIANS WE NEED TO CELEBRATE OUR SUCCESS MORE.. It may be recalled that yesterday, Toyin Abraham had mentioned how Mercy Aigbe took delight in breaking people’s relationships and spreading rumours about other actresses. This really caught the attention of social media users as they trying to find out what actually happened. She had deleted the post minutes after sending it through however it went viral. During the charade, some fans had predicted that it was a publicity stunt as they refused to believe it is real.